The domain “myproject.com” serves here as an example, replace it with the domain name of your website. 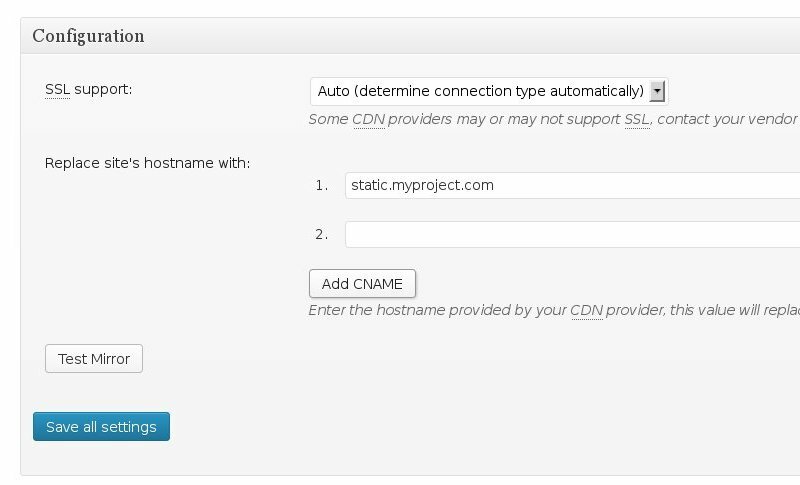 Fill in the domain of your website and choose a domain for your new CDN service as in the picture below. Now we use the Service Domain in Wodpress W3 Total Cache plugin. In the side menu find Performance tab and click on the “General Settings”. Scroll down to the “CDN” section. 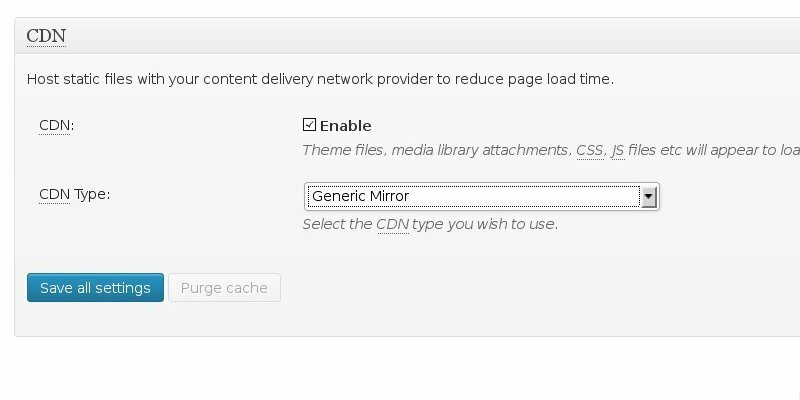 Don’t check “Enable” and select ”Generic Mirror” from the “CDN type” drop down menu as in the picture below. Now in the side menu find Performance tab and click on the “CDN”. Scroll down to the “Configuration” section and enter your Service Domain in the input field Replace site’s hostname with: as in the picture below. Note that you can alternatively use the Service Identifier instead of “Service Domain”. You find “Service Identifier” of your service in the CDNsun client section. It is located on the “Services” tab in the “Settings” section and also in the “How-To” section. Now in the side menu find Performance tab and click on the “General Settings”. Check “Enable” as in the picture below. You are now using CDN. View the page source of your website to verify it. You should see URLs of your images, CSS,.. beginning with the Service Domain.